Is There a Difference between Bay Windows and Bow Windows? Brock Doors & Windows Ltd. Is There a Difference between Bay Windows and Bow Windows? Many homes use elegant angles and window placements to create a unique design. In these areas, either bow windows or bay windows might be installed. Even though these terms are sometimes used as synonyms, there are differences in the design features. Before you choose the right windows for your home, it is essential that you compare the unique elements of bay windows vs. bow windows. 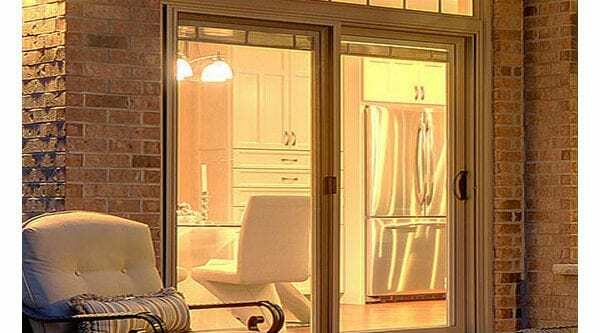 At Brock Doors and Windows, we are committed to providing the highest quality products to our customers. Our team is here to help when you are making your decisions. We invite you to schedule a consultation so that we can discuss the details that will help you create the home of your dreams. These designs are elegant, and they are beneficial to open up the view in the room. If you have a beautiful area around your home, then it is nice to have large windows to frame the gorgeous scenery outside. Since these designs use an 180-degree arch, it creates a wider view compared to a flat window. The windows protrude from the wall, allowing a non-obstructed view that makes the room feel larger compared to a traditional window design. Bay windows are created using three window panels. The sizes of these windows vary depending on the design, and typically the windows are not all the same size. A standard bay design has a large window in the center, with smaller windows on either side of the center panel. The two side windows, known as flankers, are symmetrical and they usually have an angle of between 30 to 40 degrees. Many times, these smaller windows are designed to be double hung. So, you can open the windows to improve the ventilation in the room. In comparison, bow windows use three to six panels of glass. The design offers a gradual curve instead of the sharp angles that are used in bay windows. If you choose the right types of windows, then this design improves ventilation because there are more windows to open. The drawback to bow windows is that more hardware will be required, which means that there will be more materials obstructing the view. It has been found that bay or bow windows installation Toronto is beneficial to improve the value of property. People often feel that the focal point of the room is the window design. Large windows are beneficial to make the room feel spacious and to highlight the beautiful views outside. But, these windows aren’t right for every situation. So, it is important that you talk to a windows expert to learn more about the design style that will look good in your Toronto home. For more information about the types of windows that are available, we invite you to contact our team at Brock Doors and Windows: 1.800.449.3808 or info@brockwindows.com. We will gladly set up a time for a free consultation. Or, you can stop by our office at 278 Orenda Rd, Brampton, ON L6T 4X6, Canada.